Seems like just yesterday when the first sprinkling of local MINI Cooper enthusiasts assembled to enjoy each other’s company and the fall colors — yet here we are in the ninth year of this event! 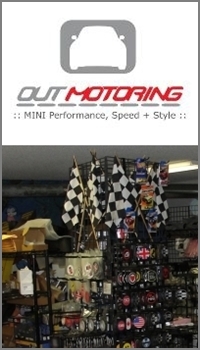 It’s the 9th Annual MINICooperIowa Fall Tour which will be conducted on Saturday, October 29th. Organized this year by our friends to the west in the Des Moines -based Central Iowa MINI Club (CIMC) the drive begins with a lunch stop in Pella at 11:00 am and finishes at the Willis Auto Campus MINI of Des Moines dealership around 4:30 pm, with lots of fun and interesting stops along the way. Specific details of the itinerary are available after the jump below. 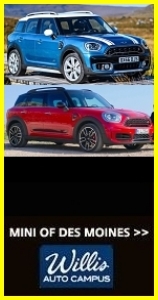 This is typically the largest gathering of Iowa MINI Coopers throughout the year and we’re always looking for expanded participation by anyone with an interest — and a MINI! Please let us know you’re coming by one of the listed options using the Read More button below. 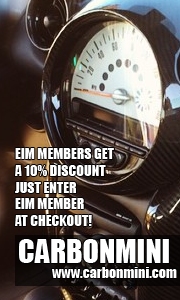 The CIMC folks need an accurate head count to pass on to the MINI dealership so they can plan for refreshments. More details on the day’s events are also available there. Hope you can join us! If you sign up using one of these three options, we’ll make sure your attendance is passed on to CIMC. Beginning in 2003, MINI owners state-wide have been invited to join the annual Fall Colors Drive – this year will be the ninth consecutive year we’ve enjoyed motoring amidst the glories of an Iowa fall. The starting point is Pella, where everyone will assemble for lunch. Following lunch, we’ll meander by way of several twisty and curvy back roads west to St. Charles to view the Imes Covered Bridge (with time for photos), then head over to Winterset to visit the John Wayne home (optional; alternative stop is the Cutler-Donohoe Covered Bridge instead), and finally end our drive at MINI of Des Moines (MODM) for refreshmants and some entertaining MINI-related challenges as part of MODM’s participation in the national MINI “Motor-tober” promotion. The total distance we’ll cover between Pella and MODM will be about 150 miles. MINIs from eastern Iowa will have the opportunity to caravan from the Iowa City area to Pella on Saturday morning. Keep an eye out for instructions in our NAM Discussion Thread. *UPDATE* MINIs coming to Pella from the east plan to meet up at the rest stop along I-80 just west of Iowa City, west of Exit 237, at 9:45 am. Come join the caravan! MINIs coming from from the Des Moines area are welcome to caravan together to Pella from the McDonalds at 1055 Sherrylynn Blvd in Pleasant Hill. The MINIs will depart from this spot at 10:00 am. If you’d rather drive to Pella on your own, you’ll probably find most of our cars parked around the central square in Pella prior to 11:00 am. We plan to be on the road after lunch about 12:30 p.m.
Those of you who can’t make it to the drive are invited to join the rest of us at MINI of Des Moines for refreshments and socializing with MINI friends – we expect to arrive there around 4:30 p.m.